Lightning integrated technician team members taxi in an F-35A Lightning II at Luke Air Force Base. Maintainers from independent career fields, including crew chiefs, avionics technicians, weapons technicians, and low-observable technicians, who all operate separately in traditional maintenance, were integrated into the LIT team using cross utilization training and shared work procedures. With the LIT team, multiple components of an aircraft undergoing maintenance can be worked on simultaneously. As part of an effort to increase F-35A Lightning II maintenance effectiveness and efficiency at Luke Air Force Base, the 62nd Aircraft Maintenance Unit created a team of unified maintenance Air Force specialties called Lightning Integrated Technicians. 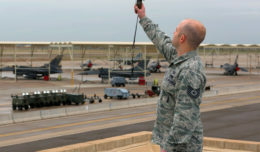 Maintainers from independent career fields, including crew chiefs, avionics technicians, weapons technicians, and low-observable technicians, who all operate separately in traditional maintenance, were integrated into a single coordinated team using cross utilization training and shared work procedures. After a one-week nose-to-tail classroom training and two weeks of on the job training by senior enlisted members, a student to instructor model is employed to ensure LIT members were reinforcing training they received. Finally, enlisted leaders undertook the huge task of merging four career field education training plans. All redundancies were eliminated, leaving a 1,225-task CFEPT. Though large in breadth, the team leveraged high-frequency tasks for upgrade training and derived a 71-task 5-level upgrade and a 21-task 7-level upgrade. These tasks currently represent almost 80 percent of the maintenance performed on the F-35 on a routine basis. The LIT team currently has 34 personnel, maintaining six aircraft. Traditional maintenance operations have sections perform career-specific tasks with minimal coordination with other sections. 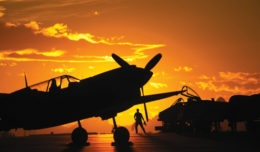 Aircraft can be delayed while undergoing certain types of maintenance as other sections wait to receive them, resulting in fewer sorties and reduced utilization of manpower. With the LIT team, multiple components of the aircraft can be worked simultaneously. Additionally, each maintainer learns proficiency in the work of the other sections. Additionally, pilots have increased confidence in their maintenance crew who, because of their supplemental knowledge in each aspect of the aircraft, take greater pride in their work. LIT team members work consistently on the same jet, making it easier for them to track and plan all maintenance performed. To date, the LIT teams have produced more than 172 sorties and over 265 flying hours with fewer technicians than traditional manpower constructs. 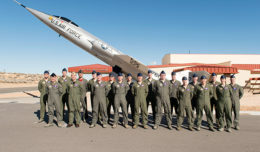 Their low 7-percent abort rate and 5-percent break rate has given way to a 72.5-percent mission capable rate which has exceeded the 60 percent Air Education and Training Command standard while maintaining a sortie utilization rate of 16. The LIT program will be expanded throughout the 62nd AMU and each aircraft in the 62nd FS will have its own dedicated LIT team by the end of 2018. 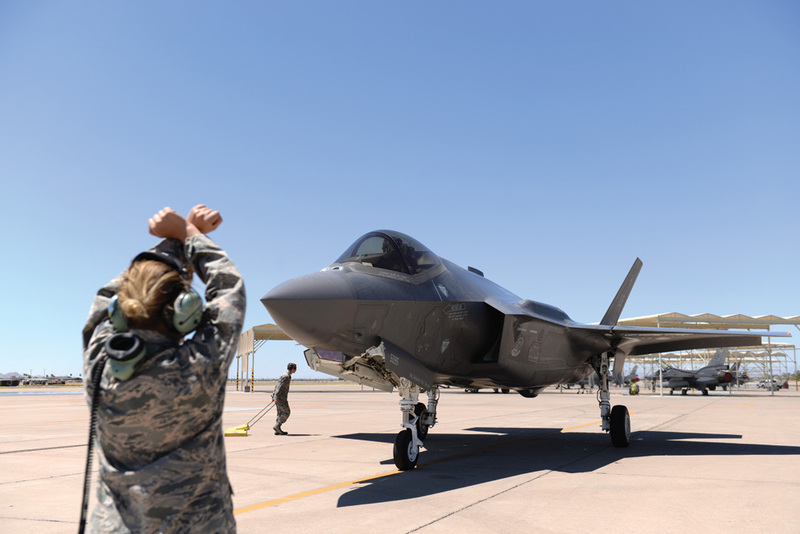 The program will then be submitted for evaluation and review by Air Force and Defense Department leadership, who will determine its potential applicability across the Air Force, DOD and F-35 partner nations.